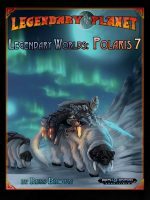 Legendary Planet for Starfinder is here! Launch day is here for the newest sci-fi sensation, the Starfinder Roleplaying Game, and Legendary Games is right here for you! First and foremost, you can kick off the amazing Legendary Planet adventure saga, To Worlds Unknown for Starfinder! From an interplanetary prison break and race against time, you land on a crossroads world and a corrupt city-state where rival gangs, powerful factions, and deadly alien scientists surround you on every side and your next mistake in whom to trust could be your last! 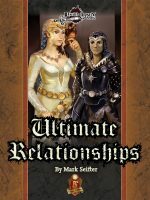 You can grab this 100-page adventure book, including new monsters, magic items, technology, detailed gazetteer and bonus campaign setting material, and an ongoing fiction saga by award-winning author Chris A. Jackson right now at the Legendary Games webstore, Open Gaming Store, Paizo, DrivethruRPG, and Amazon! 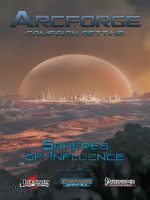 This initial adventure will take your Starfinder characters from 1st through 5th level, and the sequel is already nearly ready for you in The Scavenged Codex (Starfinder), when your heroes start their search for a way home first by brokering a deal with inhuman interplanetary gangsters before plunging into an apocalyptic world of blasted deserts dotted with seductive oases, all in search of ancient alien wisdom that can restore the stargates of old! Next week also will bring the Legendary Planet Player’s Guide (Starfinder), featuring four brand-new playable races for the Starfinder Roleplaying Game, with the towering four-armed tretharri, the cybernetic auttaine, the clever winged zvaar, and the green-touched chlorvians, as well as information on classes, races, religion, and unique campaign traits! Even players and GMs not using the Legendary Planet saga will find great information here they can use in their own spacefaring campaigns. Likewise, our line of ready-to-play planets for the Starfinder Roleplaying Game kicks off later this month with the Legendary Worlds series, each one with a detailed history, geography, and society of a brand-new world, as well as new creatures, feats, spells, equipment, and more! From the slag-seas of the foundry planet of Volretz to the tainted oceans of Melefoni where the aquatic natives war in their supermersibles against the survivors of a fallen colony ship, and many more following in rapid succession! Farther down the road, you’ll find new technology in the Treasury of the Machine, awesome adventure and plummeting peril aboard a long-range explorer ship hiding a horrifying menace in Starfall, android bounty hunters and mutant cultists in the radioactive ruins of a crashed starship in Scorpions of Perdition, and so much more. Starfinder is here, and you know we will help Make Your Game Legendary Starfinder-style! A Legendary Beginning to a Crisis! We are excited to announce the Legendary debut of Brian Suskind and Ben McFarland, an adventure equal parts bombastic and beastly as the latest installment in our all-ages Legendary Beginnings series: Crisis at Falling Spring Station! This awesome escapade on the wild and woolly frontier pits the PCs against treacherous fey and the savage soldiers of an ambitious warlord who wants to take over his very own keep on the borderlands! You can grab this marvelous module right now for Pathfinder at the Legendary Games webstore, Open Gaming Store, Paizo, DrivethruRPG, and soon at Amazon, and the 5E version is in layout now! Of course, this is just the start of the amazing adventures to come! 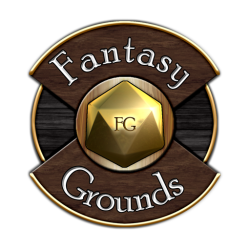 First up, we have A Feast of Flavor (5E) coming your way this 5E Friday. Plus, we’ve just received a pair of awesome new adventure manuscripts, the horrifying The Whisperer in the Pit by the terrific Tom Phillips and the The Horseshoe Calamity by the radical Ron Lundeen, a terrific appendix to the first half of the Witches of Winter Adventure Path! Art orders are out and we look forward to having those adventures ready for you next month! The latest installment in our Legendary Beginnings all-ages adventure series is off to layout, coming your way soon for both Pathfinder and 5E, as Legendary newcomers Brian Suskind and Ben McFarland team up to bring you Crisis at Falling Spring Station! Crisis at Falling Spring Station takes your heroes into a world of adventure! In the mountains at the western edge of the Kingdom of Threll, brave soldiers stand guard against the frightening creatures that dwell in the lands beyond. Falling Spring Station controls one of the passes leading through the mountains into the Westerlands and the Darkevale Forest, keeping the people of Threll safe. But a terrible illness has weakened the soldiers in this vital fort. After delivering medicine to help fight the disease, the heroes discover that there is more going on than just a simple illness. It’s up to them to put things right and find out what’s behind the strange happenings. What they uncover is a monstrous plot that threatens the safety of the whole kingdom. Can a small group of adventurers stand up to the mysterious Warlord of the North and his beastly army? This 2nd to 3rd-level adventure is suitable for all ages using the standard Pathfinder Roleplaying Game or the boxed set for beginners, and it also goes very nicely with our other Legendary Beginnings adventures set in the world of Terralien, like Into the Feyweald, A Feast of Flavor, and the 5-part Trail of the Apprentice adventure saga! 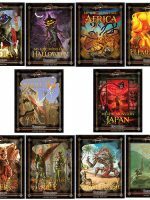 March is the month to adopt some Orphans and save big at Paizo! Today we are pleased to present the latest adventure in our Red Queen line of urban intrigue products, and the very first installment in our One Player Adventures series: Orphans of the Hanged Man by Matt Goodall and Legendary newcomer Michael Allen! This fabulous 40-page adventure through the back alleys and mean streets of a corrupt city rife with crime and mystery can be played with a small group with a bit of tweaking, but it’s ideally suited to run as a side-trek or as the first installment in a solo city-based campaign with one GM and one player, the Guildmaster Adventure Path! 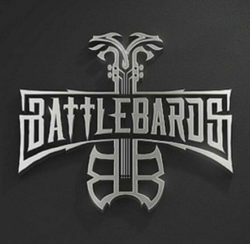 You can get this amazing adventure at the Legendary Games webstore, Open Gaming Store, Paizo, DrivethruRPG, and Amazon! 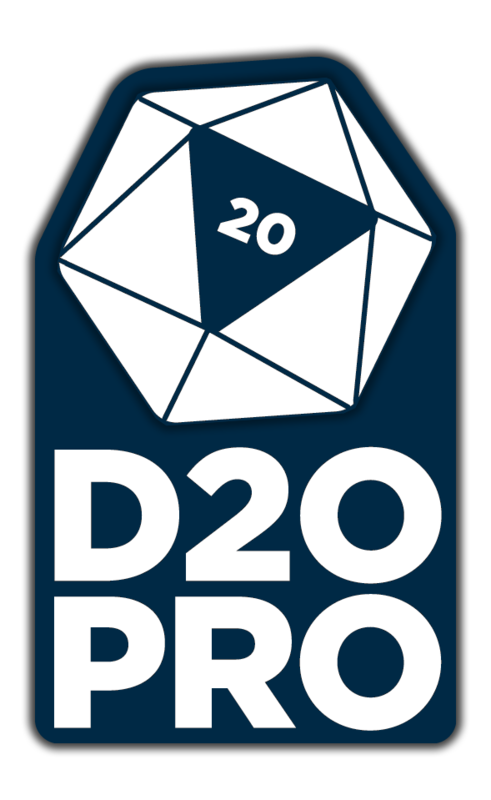 Last but not least, we are pleased to launch our incredible 60 BOOKS, 30 BUCKS Pathfinder MEGA-BUNDLE at Paizo.com! 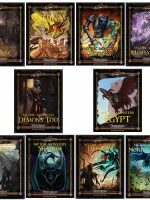 The same spectacular savings – over 90% off on 60 Pathfinder PDFs totaling 1,487 pages and with a regular sale price of $337! GM’s Day is coming up in Saturday, so you should totally MARCH 4TH AND BUY IT!